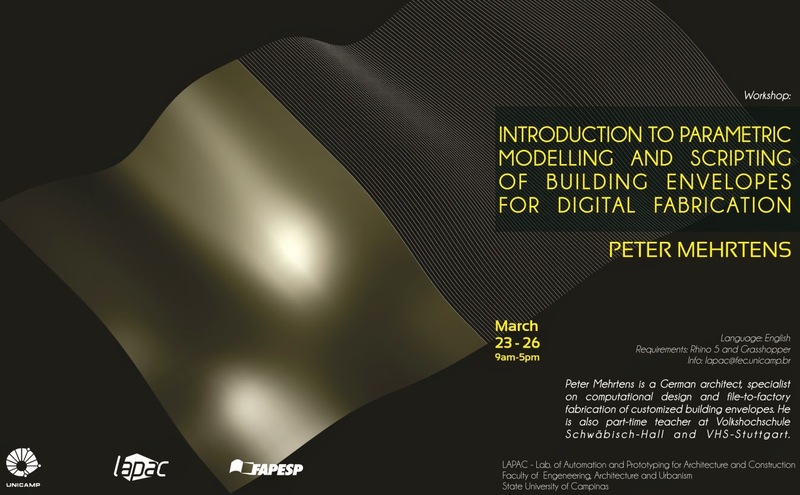 March 2015, the Laboratory of Automation and Prototyping forArchitecture and Construction (LAPAC) of University of Campinas - São Paulo will be visited by the German architect Peter Mehrntens as part of the Research Project "Contemporary Architecture and Automation, Practice and Reflection" sponsored by FAPESP (São Paulo Research Foundation). 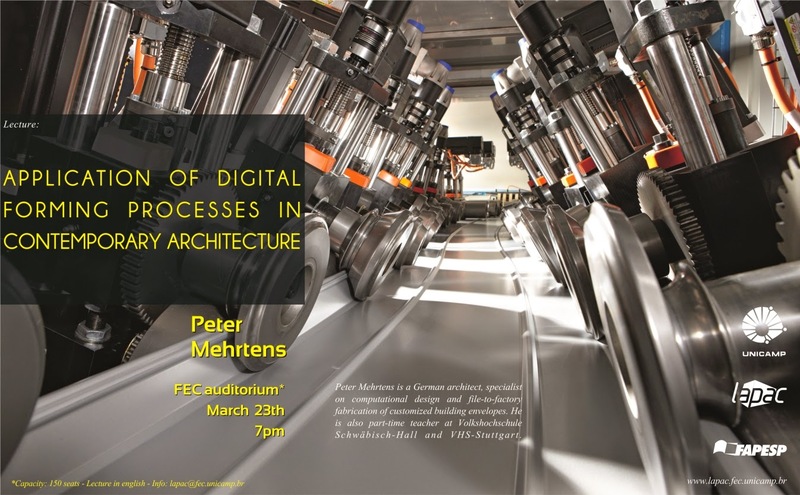 Mr. Mehrtens will give an open lecture called "Application of digital forming processes in contemporary architecture" for students and community members on Monday, March 23, at the School of Civil Engineering, Architecture and Urban Design - FEC. He will also teach at the workshop "Introduction to parametric modeling and scripting of building envelopes for digital fabrication". Peter Mehrtens is specialist on computational design and file-to factory fabrication of customized building envelopes. Registration required (Wilson Barbosa - wilsonbarbosaneto@gmail.com). Limited spaces.